The plan successfully links Fairtrade and schools, some of which may have achieved Fairtrade status and others who may be new to Fairtrade, to involve them in the complexity of creating a promotional piece and the technology that’s necessary to produce it too. Every year the students impress us with their imagination and professionalism. Once again the Print IT! Awards 2012 have been a real success. Elliot Bannister, who took part in the Print IT! 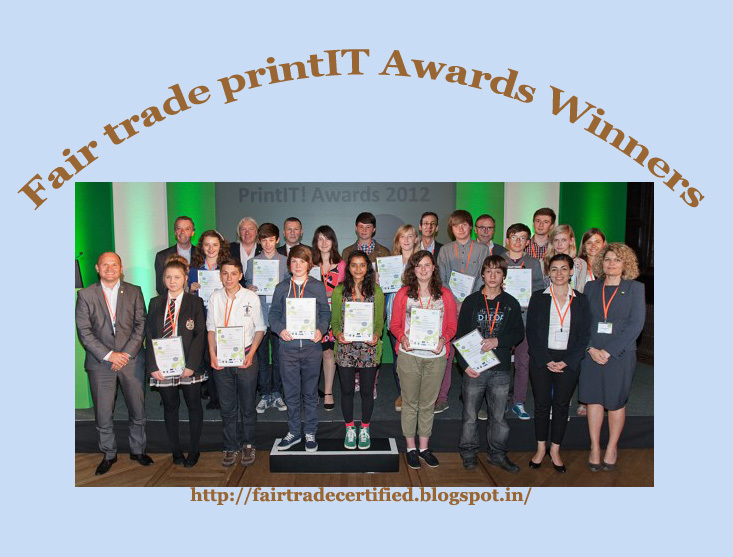 Awards in 2006 and has now become a Fairtrade supporter, says Graphic design is a daily feature in our lives and the Print IT! Competition makes us aware of the process that take place to produce any sort of excellent design. It trains us to think conceptually and practically, and because these processes take place in the context of Fairtrade, our awareness is also drawn to the lives of farmers and workers around the world. Print IT! Encourage us to use our graphic design skills for valuable purposes, and I'm confident that with all cohorts of students, our creation will be one step closer to achieving trade justice.